The American equivalent of the ACT has launched a consumer-facing website thats hot on advice on WHY to buy from IBDs and not multiples. This will be interesting to those BikeBiz readers who have been following the bulletin board topic about a website that did the same sort of things as the existing American website, bikesRnottoys.com. www.bikeshopsonline.com is produced by the National Bicycle Dealer Association and features articles aiming to assist consumers looking to buy bikes. Topics include: What to Look for in a Professional Bicycle Store; and How to Shop for a Bike. 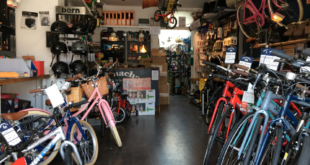 Your local professional retailer is a great resource for expert advice, quality performance products and friendly service the kinds of things that make your cycling experience enjoyable and safer. When it comes to bicycles, quality counts! Don’t buy from retailers who don’t know anything about cycling, or who stock only cheap products! There’s more to buying a bike than meets the eye, and it’s easy to be misled into making a poor choice. Bicycles are vehicles that can travel at high speeds under demanding conditions. To do their best for YOU, they need to be constructed of high-quality materials, assembled by a competant and trained bicycle mechanic, and adjusted to fit your body. Our advice: Seek out a good specialty bicycle store in your area. 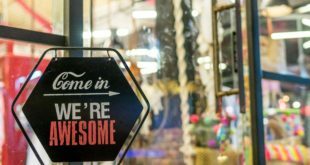 Look for a store that is clean, has helpful personnel, offers a good selection of product, and has an on-site service and repair department. This will pay off for you in many ways. We don’t dislike mass merchants or department stores. However, their expertise is in selling commodity goods, not in custom products or specialty items such as bicycles. They can be great places to buy a toaster, but generally NOT a great place to buy a bike!